Now that the weather is attempting to cooperate, I thought we would take our first spring plunge into dresses. 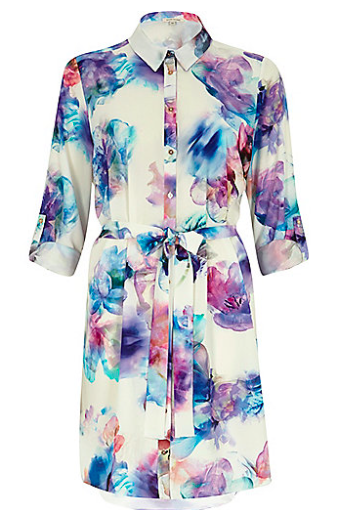 Specifically, the shirt dress. This style is casual but still work appropriate, it's a nice transition item from spring to summer. How great is this long sleeve option? It's not screaming pastel spring and it's bootie ready. Like I said, perfectly work appropriate and even a bit DvF-esque. Watercolor anyone? This is a great Easter or spring special occasion dress. The masculine button down makes the floral not as feminine. Now here is something you're probably used to seeing when you think shirt dress. 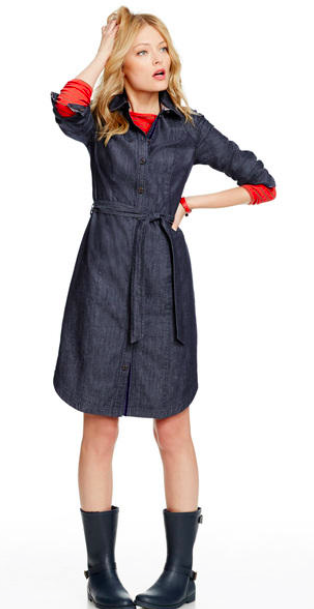 I love this option in a dark chambray especially the way they've styled this with the contrasting shirt underneath. The shirt dress is a great option when you're not quite ready to break out the sun dress but certainly ready to put away the chunky sweaters.